Being a homeowner comes with a myriad of perks. One of these is decorating however you please — even when said “decorations” involve turning your living room into an underwater paradise. For all you water babies, feast your eyes on five (strange) aquatic living rooms, perfect for lounging, swimming, and seriously impressing your company. What’s weirder — the fishtank wall or the three TVs in a row? 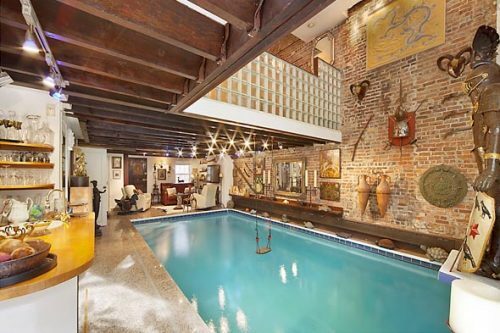 This adds a whole new dimension to the term “pool room.” Chill on the couch, chill in the pool - no biggie. 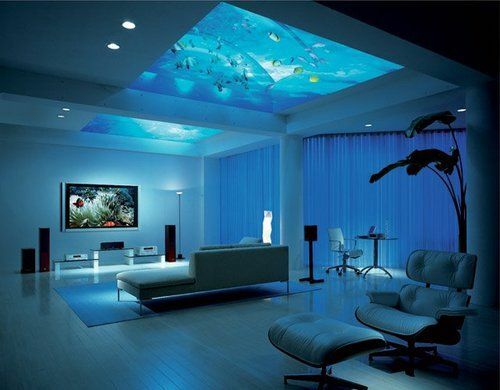 Would you pony up for an aquatic living room? Sound off in the comments! Pool in the living room looks like a fantasy but I am sure it must be a lot of hardwork maintaining it and then kids could jump into the pool and splash water every where. 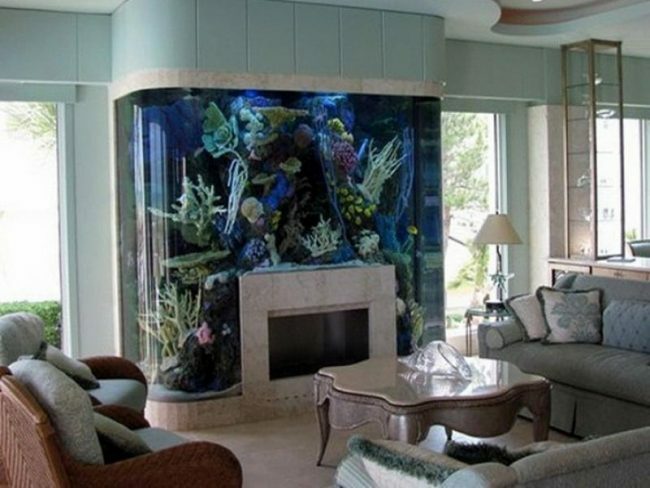 Not a big fan of fishtank in the living room but I loved the third one from the top, it looks sleek, modern and beautiful.